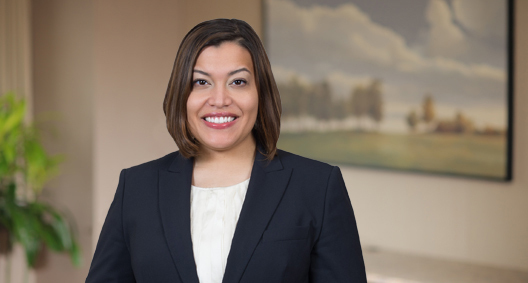 Keesha Warmsby is a consumer financial services lawyer with a litigation and regulatory practice, primarily representing financial services companies on TCPA, FDCPA, FCRA, third party vendor oversight and other consumer statutes. She has led multiple 50-state survey projects for Fortune 500 companies concerning state and federal consumer statutes and UDAP regulations. Additionally, she has prepared compliance policies and guidelines, including TCPA policies for banks and nonbank lenders, and counseled clients in a supporting capacity concerning CFPB-led enforcement actions. Keesha is a co-author of the Mortgage Bankers Association Compliance Essentials Dodd-Frank Section 342 Diversity and Inclusion Resource Guide®. Defends financial institutions and service providers in consumer initiated class actions regarding federal and state consumer protection statutes. Defends mortgage servicers in contested foreclosure actions in multiple jurisdictions. Defends financial institutions against consumer-related claims under the FDCPA, FCRA, TILA and RESPA. Counsels corporate clients regarding regulatory and compliance risk assessment matters in connection with mergers and acquisitions. Assisted publicly traded company in remediation effort during investigation by Consumer Financial Protection Bureau. Resulted favorably for client. Counsels financial services institution on federal and state regulatory compliance matters. Defends banks and other financial institutions in complex litigation and regulatory proceedings. Trains financial services compliance officers regarding state and federal lending and consumer statutes. Assisted with creation of policy and procedures for mortgage lenders in order to ensure compliance under Dodd-Frank. Assisted auto lender with state licensing issues across the country. Acts as compliance counsel for mortgage and auto lenders, drafting policy procedures to ensure Dodd-Frank compliance. Provides state licensing counsel to automobile and mortgage lenders nationwide.